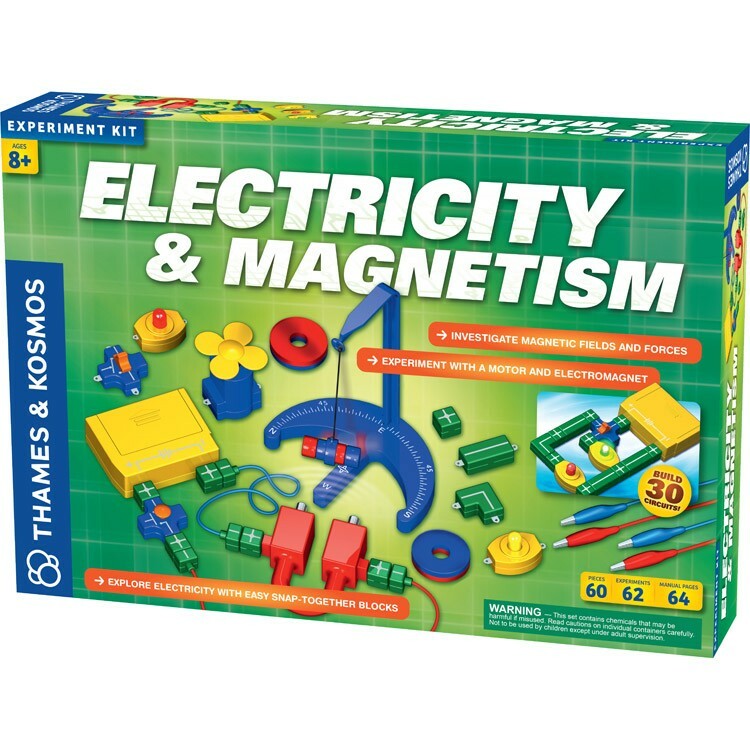 Discover and understand the force of electromagnetism with this hands-on Electricity & Magnetism set for young scientists. 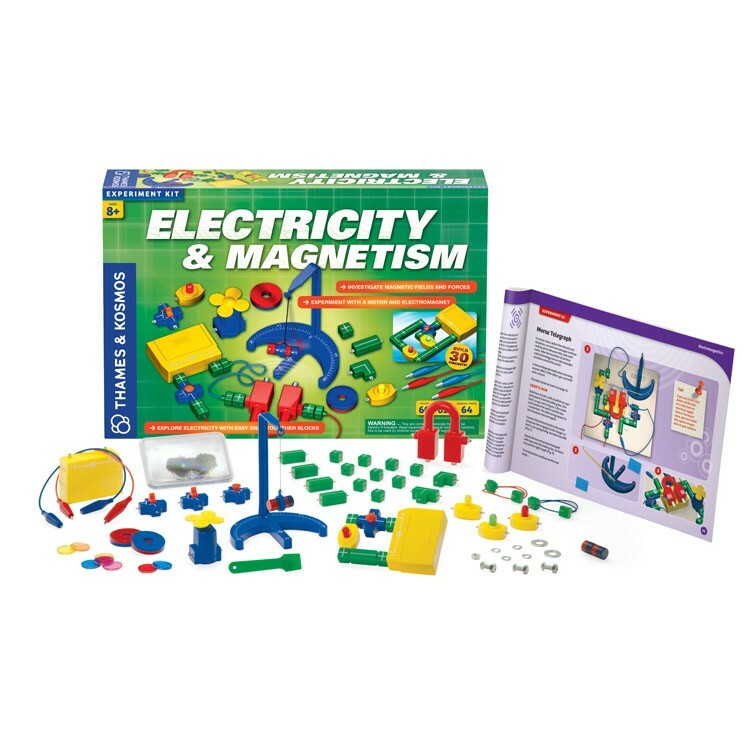 Conduct more than 60 electrifying experiments with circuits and magnetic contraptions to learn about electricity and magnetism, and how these two fundamental properties are closely related. 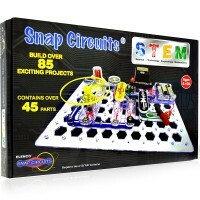 Children eight and up can safely and easily experiment with electric current and magnetic fields using the colorful snap-together blocks and components in this hands-on kit. 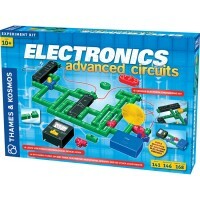 Build series and parallel circuits to light up a light bulb. 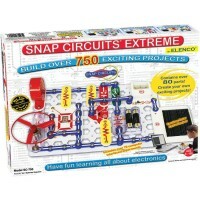 Experiment with push buttons and on-off switches. 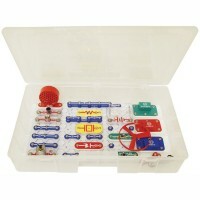 Assemble circuits that include a spinning motor, two switches, and up to three light bulbs. 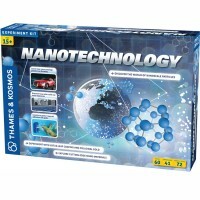 Conduct tests to see which materials are magnetic. 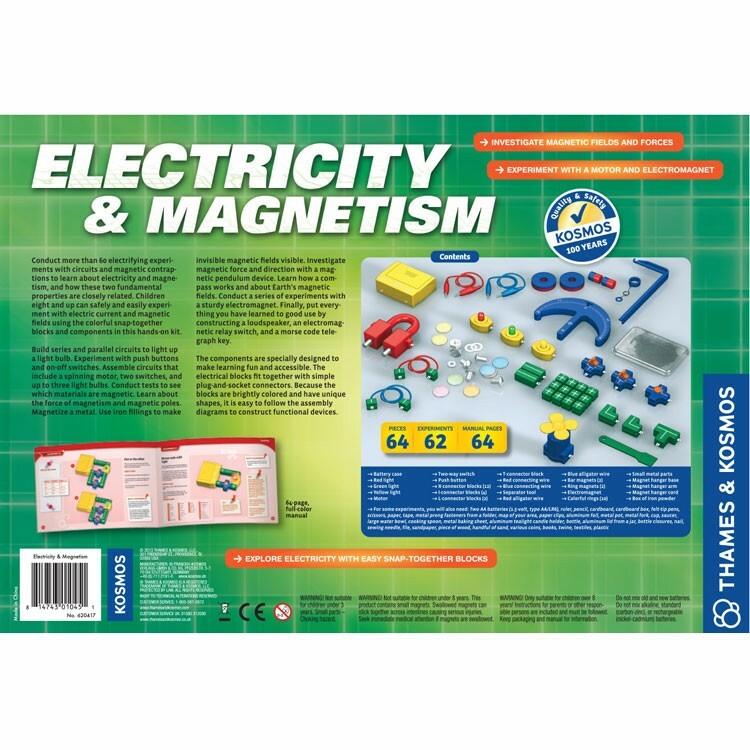 Learn about the force of magnetism and magnetic poles. Magnetize a metal. Use iron fillings to make invisible magnetic fields visible. 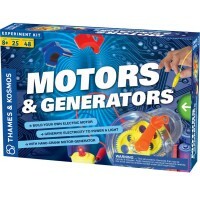 Investigate magnetic force and direction with a magnetic pendulum device. Learn how a compass works and about Earth’s magnetic fields. 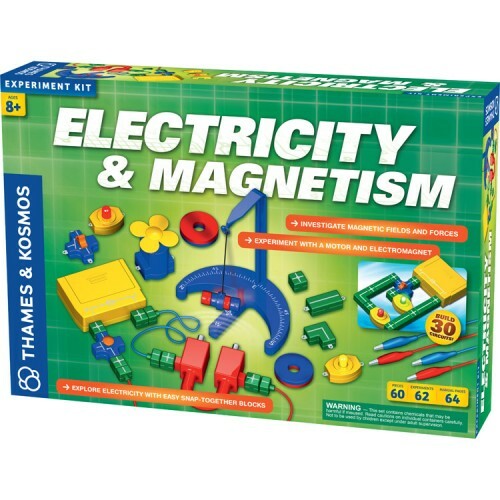 Conduct a series of experiments with a sturdy electromagnet. 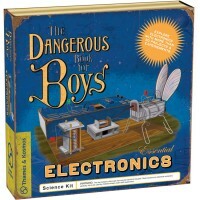 Finally, put everything you have learned to good use by constructing a loudspeaker, an electromagnetic relay switch, and Morse code telegraph key. 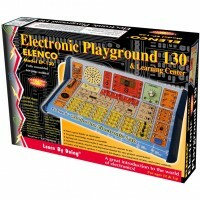 The components are specially designed to make learning fun and accessible. 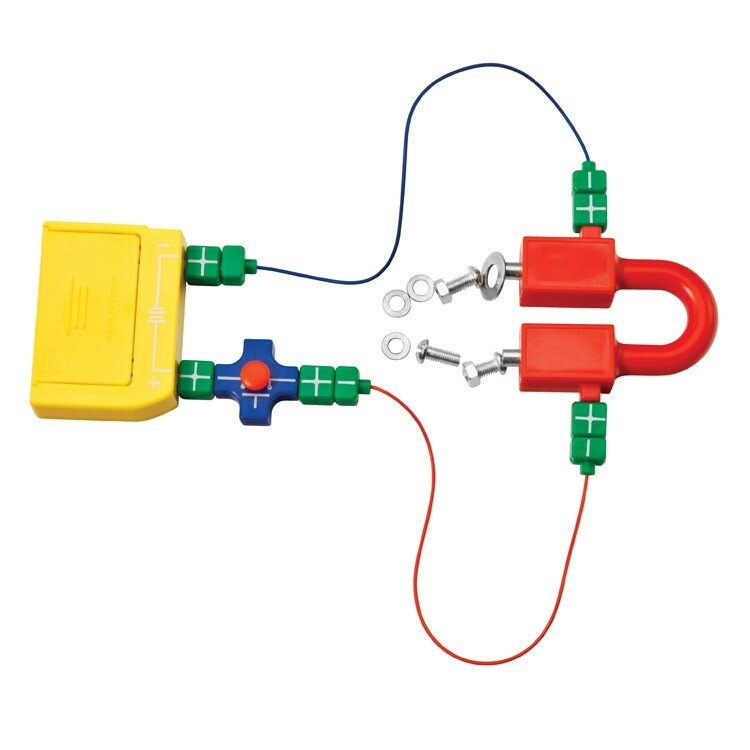 The electrical blocks fit together with simple plug-and-socket connectors. 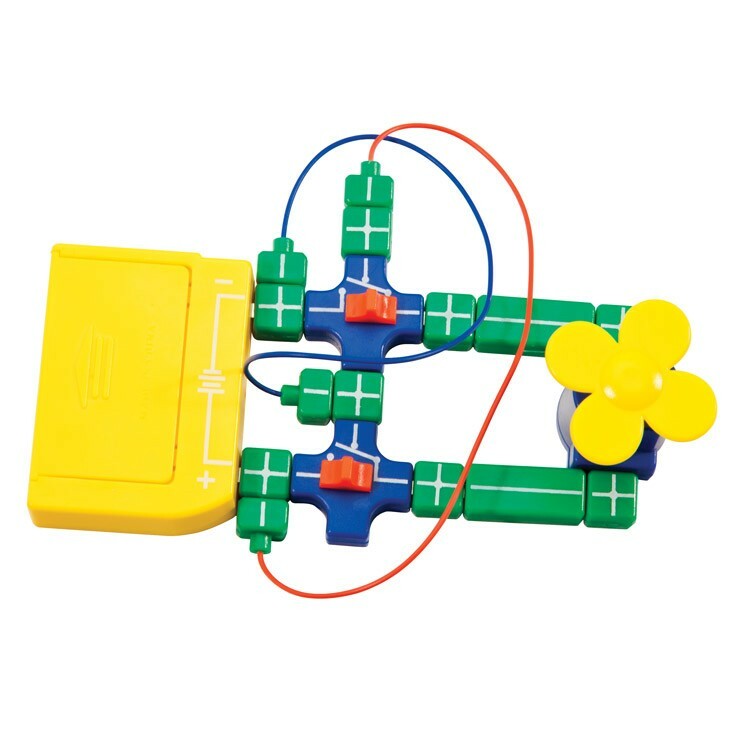 Because the blocks are brightly colored and have unique shapes, it is easy to follow the assembly diagrams to construct functional devices. The 64-page, full-color experiment manual guides you through experiments with easy-to-follow diagrams. 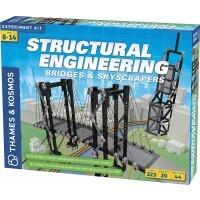 Requires 2 AA batteries (not included). 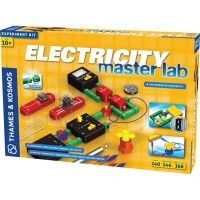 Write your own review of Electricity & Magnetism Science Kit.